Sloanbook: The best kind of weeks. The best kind of weeks. This past week (okay the week before - March 26 to April 2, 2012) was just great. It was a spiritual kind of week. 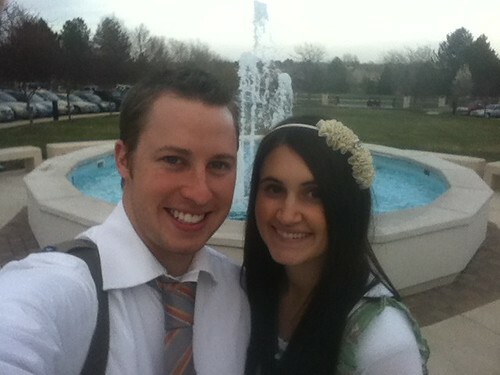 I guess every week should be spiritual and I guess it is but it was even better because we went to the Denver Temple and watched General Conference! After work I had lunch at my visiting teacher's house which was very yummy. 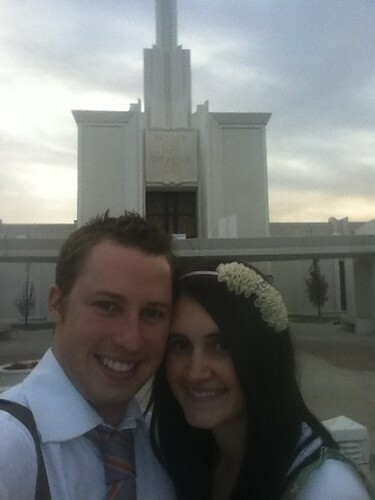 Then Kevin and I drove to Denver to attend the Denver Temple! Question: Have you ever worn an outfit before in public that you knew didn't look right? Lol well that is what happened. I tried on a dress that I hadn't worn for awhile and wasn't sure if it would even fit being prego and all. I threw on a t-shirt and leggings and some old shoes and then just left haha. I felt funny wearing the outfit but I guess sometimes you don't need to care as much. Afterwards we hit up Mary's Mountain Cookies and got my mom a few cookies and then stopped by to see her since she just had hip surgery. We hit up some local flea markets looking to find a good deal on some kitchen table chairs...didn't find anything really. We stopped by Walgreens and used a 15% off coupon and stocked up on prenatals that will last until after I've had our baby! I love using coupons and stocking up haha. 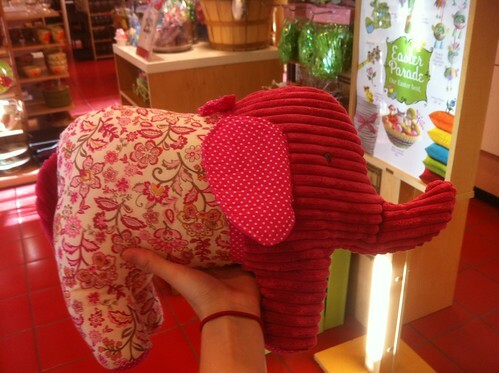 We also checked out Pier 1 Imports and I saw this cute elephant stuffed animal! Elephants are my favorite animal and I would love to get this if we find out our baby is a girl! Will find out THIS Thursday!!! I honestly don't remember when we ate this but I feel like this is man food haha. 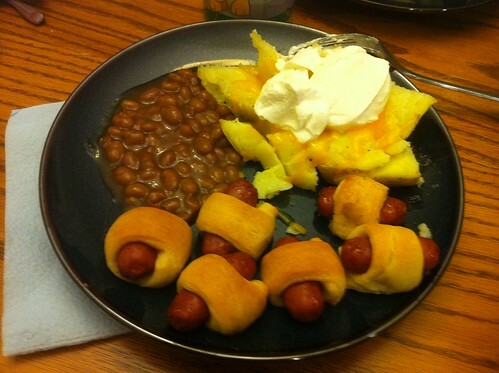 Kevin LOVES little smokies and put them in crescent rolls. With baked beans and a baked potato, it definitely felt like a guy meal but it was good! 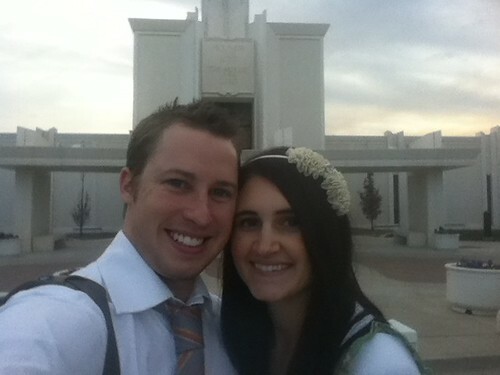 General Conference was this day, which by the way, was amazing! 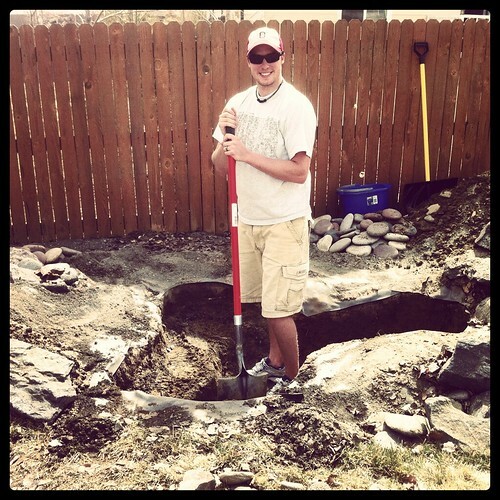 In between sessions Kevin worked on digging this hole deeper. 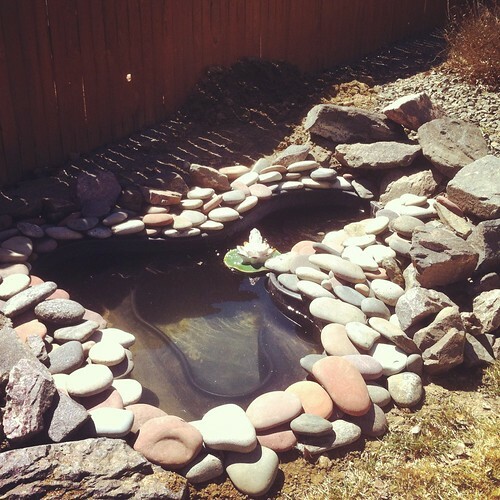 In our backyard there was a pond with a little water fountain but the pond was coming out of the ground a little bit. That is just how it was put in so that is why he was digging it deeper. 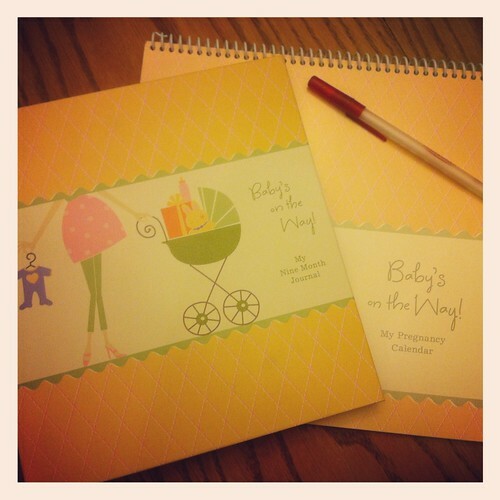 By the way, anyone else write in these pregnancy journals? My parents got them for me after we told them we are expecting! I think they are pretty cool! ate dinner at my parents house and had the meal above on Monday! It was really good! 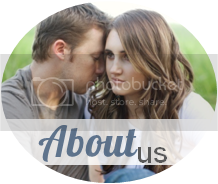 Do you have any General Conference traditions? 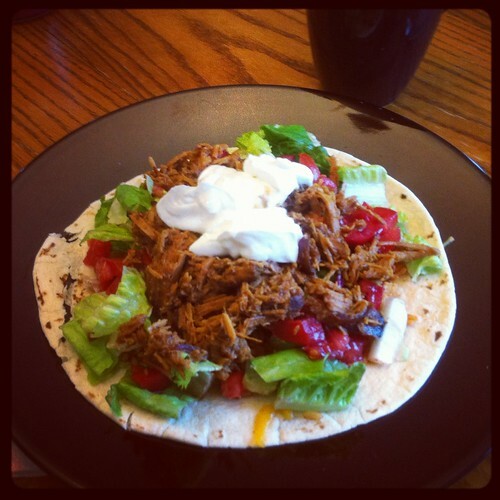 YUMMY FOOD! looks like a great weekend! And I leave the house all the time in things I shouldn't....but I don't care enough. World lookout for when we add pregnancy on top of that! Looks like it was a fantastic weekend! And that little elephant would look cute in ANY baby room! I think as long as it's whimsical and a set color scheme, anything can go! looks like lots going on!